As I mentioned in this previous post, one of my French 3 students’ favorite units each year is my unit on French Impressionism. Although I’ve taught this topic for over 20 years, I modify my lessons each year based on my current understanding of best practices and access to technology. Click here for an agenda to the first half of the unit, which is described below. Lesson 1: Because this lesson was our first day back from our winter break, we spent about half of our 48-minute period discussing how we spent our vacation. This left us just enough time for the short introductory presentation and guided notes. While the input I provide during this presentation is more detailed than the simple statements in the guided notes, completing these notes helps focus the students’ attention and gives them some background knowledge and vocabulary for the next activity. 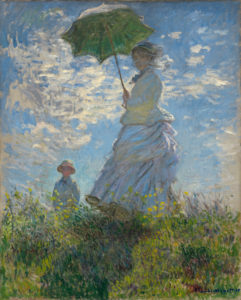 Lesson 2: During this lesson the students prepare a short presentation in which they explain which of two paintings is an example of Impressionism. Lesson 3: First the students will present their presentations to their classmates. Because most of my students are very uncomfortable speaking to the class as a whole, they will present to only one other pair at a time. To facilitate this, the students’ desks will be arranged in groups of 4, which each student sitting next to his/her partner. Two students in each group will be facing the whiteboard, and the other two will be facing the bulletin board. During the first round, the whiteboard-facing pair will present to the students sitting across from them. After 2 minutes, each whiteboard-facing pair will move to the next pair of bulletin-board facing students and will repeat their presentation. This will continue until the whiteboard facing pairs have presented to each bulletin board-facing pair. Then, the bulletin-board facing pairs will perform their presentation for each of the whiteboard-facing pairs. By performing presentations in this way, the students have a chance to improve their performance on each succeeding presentation, as well as to learn from their peers’ presentations. By positioning myself next to one of the non-moving pairs during each rotation, I am able to assess all of the students by the end of the hour. Note: I will have the students complete this peer feedback form for each presentation they hear. Following the presentations, I will present a 10 paintings on a Google Presentation and the students will mark I (Impressionniste) or P (Pas Impressionniste) on a sheet of loose-leaf as an assessment on this lesson. Finally, in order to prepare for tomorrow’s lesson, the students will complete a few guided notes about Manet. Lessons 4-5: This lesson is a series of learning stations about Edouard Manet. At the listening station, the students will complete three Edpuzzles, at the reading/writing station they will read an article and complete a comprehension guide and at the speaking station they will describe paintings to each other in order to complete a task. In Activities 1 and 2, the students have the same 12 paintings, and they take turns describing them in order to determine the number/letter of the match on their partner’s paper. In Activity 3, the students discuss each of 12 paintings in order to determine whether each one is the same or different than the corresponding painting on their partner’s paper. In Activity 4, the students will describe their version of the painting in order to identify 5 differences (objects that I’ve whited out). [Will be uploaded on 1/9] Because I will allow the students about 25 minutes at each station, these stations will continue on the second day. The rest of the second day will consist of a short assessment on Schoology (biographical facts, choose the Manet paintings, etc.) and guided notes on our next artist, Degas. 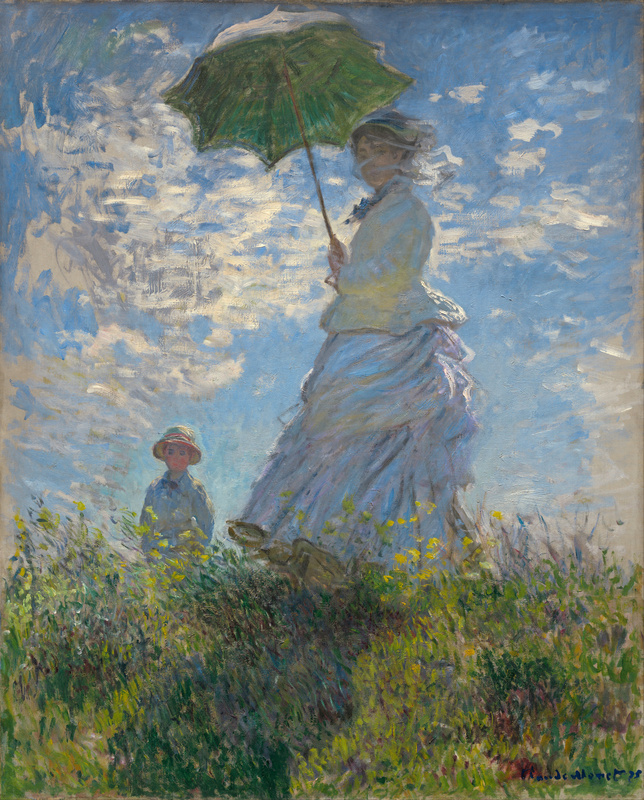 Lessons 6-7: As with Manet, the students will spend 1.5 class periods on learning stations, with the rest of the second day being reserved for an assessment and guided notes for Monet. Because I use manipulatives that I prepared several years ago using postcards, stickers, etc., I am not able to share digital copies of the speaking materials. However, I’m hoping that with the examples I created for Manet, interested teachers can quickly create their own such materials. If anyone is willing to do so, I’d happily link them to this post and attribute them to you. Lessons 8-9: Learning stations for Renoir. In my next post, I’ll include my updated lessons for the post-impressionists. This entry was posted in French 3 Units on January 8, 2017 by madameshepard.